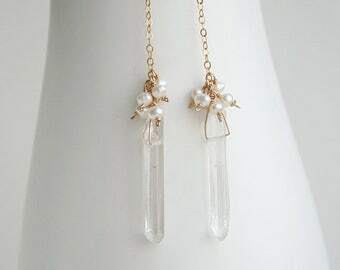 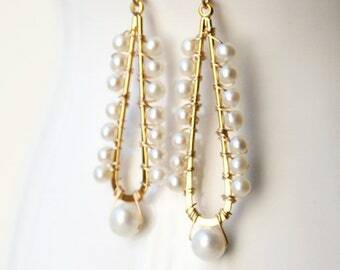 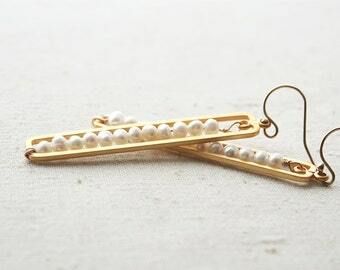 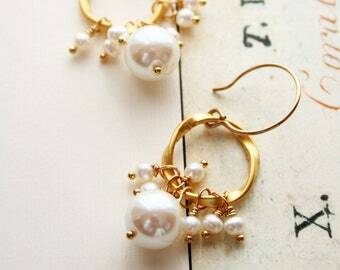 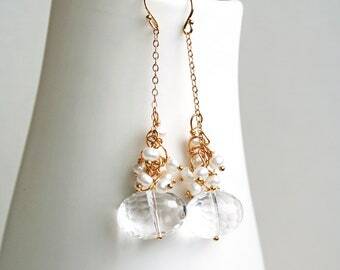 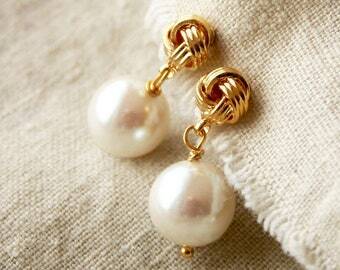 Super feminine earrings of freshwater pearls and a single vintage Japanese Glass pearl. 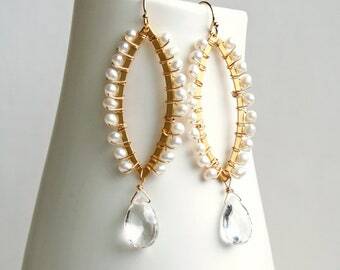 Wear your hair up, because these earrings demand to shine in the spotlight. 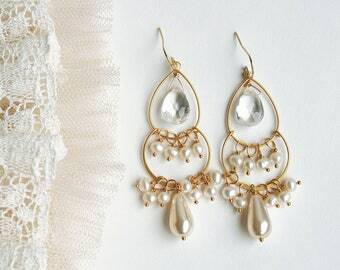 These earrings would be perfect for holiday occasions or a wedding. 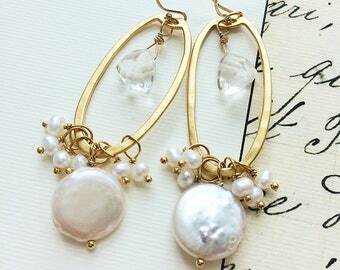 + Vintage Japanese Glass Pearl. 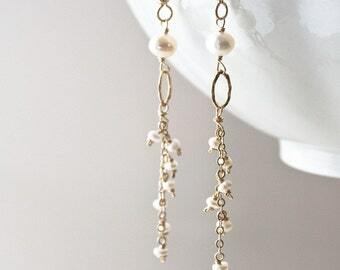 Freshwater Pearls. 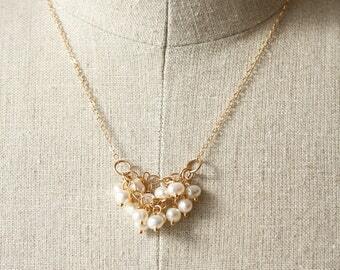 14K Gold Fill Chain & Ear Wire. 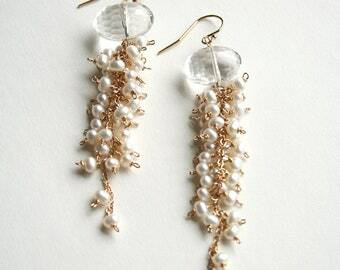 + Earrings measure 2.25 inches (6.35 cm) in length. 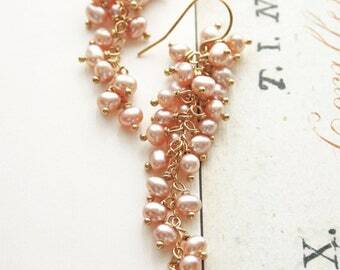 (If you need shorter, leave a message in the notes box upon checkout). 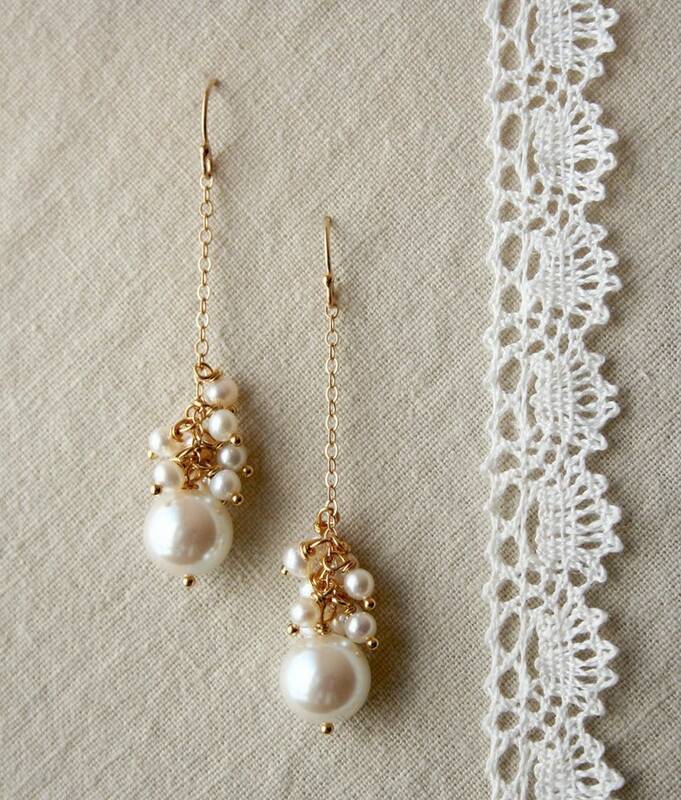 + Earrings are ready to ship.